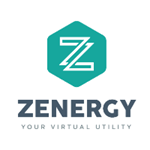 DALLAS, TX, March 14, 2019 (GLOBE NEWSWIRE) -- via NEWMEDIAWIRE – Zenergy Brands, Inc. (OTCPK: ZNGY), the nation’s next-generation utility is pleased to announce today, the release of a Zero Cost Customer Case Study, which is based upon data gathered from the very first Zero Cost Program™ agreement that was entered into and installed during the fourth quarter of 2017. The customer is a real-estate investor with holdings in convenient stores, gas stations, laundromats and restaurants. “I will never forget the day that this customer was in our office executing the Zero Cost agreement; he kept joking about being the guinea pig. Today, I could not be prouder of our results,” stated Vice President of Business Development, Jeffrey Bay-Andersen. The Case Study encompasses data analysis for all of 2018. For the sake of simplicity, Zenergy has narrowed down the published results to just two locations, one convenient store, wherein there were no challenges encountered and one laundromat, which incurred a number of challenges. The results include a comparison of electricity usage between the benchmark time period, the actual usage during 2018 and the forecasted usage per our Zero Cost agreement shown daily and by calendar month.“ Perhaps the most impressive aspect of our Case Study results is the improvement in load factor during peak months. For electricity markets like ERCOT, wherein transmission and distribution rates are structured similarly, this presents a great value proposition for the local distribution utility and the customer alike above and beyond the mere reduction of kilowatt-hours,” said Alex Rodriguez, CEO of Zenergy. The Case Study does not include any discussion or divulging of the technologies or methodologies used by Zenergy. It focuses on the actual results of Zenergy’s work instead of the proprietary elements. Other data included is an analysis and comparison of weather patterns and heating and cooling degree days throughout 2018. “We felt that sharing two contrasting experiences would tell the behind-the-scenes story of the improvements in our operation and technology over our lifetime thus far,” said Josh Campbell, Senior Vice President of Operations. Zenergy provides conservation and sustainability products and services to commercial, industrial, and municipal end-use customers at no upfront cost while giving them an economic benefit and reducing demand on the respective power grid via a reduction of utility consumption.